Have you heard some of the myths about recruiting yet? that you need to have results to convince people. Or, that not many people are interested in MLM. And yet, they continue to circulate and many network marketers still believe them! Good thing for you, you are reading this now and can start to let go of those false expectations. Because perhaps you or someone on your team is struggling on recruiting. Or, maybe you don't have a big contact list, or maybe you're a part-timer or a stay at home mom and dad. You believe in the business, but it's just not working out for you. 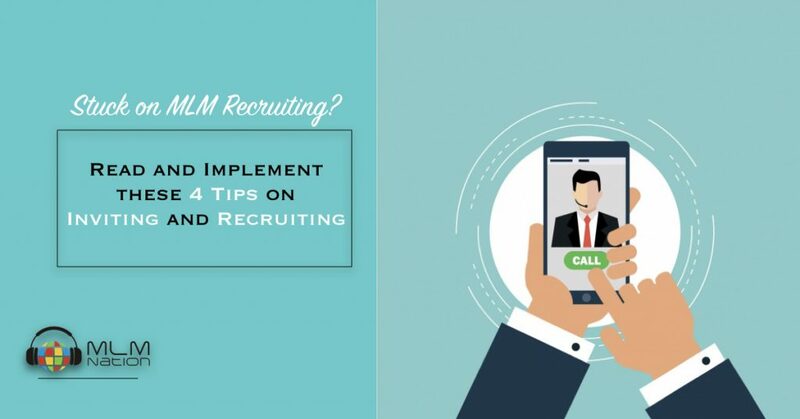 So, take a deep breathe because these next 4 steps will reposition entirely your recruiting approach. Reality is…People buy you before they buy your products, before they buy in to join you. What does “people buy you” exactly mean? It means that people buy into the energy you have when you approach them! It’s not about the products or how cool your company is. Is there confidence and posture in your approach, or are you being desperate and pushy? There’s an old MLM stereotype that many are familiar with…. That type of energy is like a bug spray. It repels potential leads, leaders, away! If you’re not enthusiastic and you’re uncertain in yourself and in what you’re doing, then why would a prospect be interested enough to take a look? It all comes back to self-belief, and who you are being in that moment. Reject them before they reject you! How do you respond to them while keeping your posture and authority? YES you can tell them ‘no’’ before they can tell you ‘no’. When in fact we should be in abundance mindset, that they are simply just another ‘no’ and there’s plenty of others (thousands, millions) out there who this is for. Let them go, that speaks levels in itself. 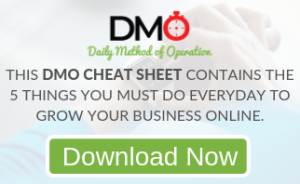 Have you ever heard of the simple MLM “To Do List”? The key here is to set up a specific time to prospect! A lot of times we show up when our boss tells us to, right? Yet… We don’t show up for ourselves. Make a commitment to show up for yourself. Be in a hurry and talk less to more people! The common mistake is getting caught up and talking too much to not enough prospects. That often happens because we think we have to to present on the spot! “Give me your phone number, and let me know what's a better time and we can set up a time to talk in a more professional setting”. That’s the thing, you don’t have to say much! The GOAL is to get them curious, interested. You don’t have to be the movie, just sell the trailer to the movie. Remember… A prospect always feels they have to do what you did to them. i.e lawyers, doctors, businessmen, etc. You approach them by edifying them and inviting them. “____, I know you are busy so I am going to go right to the point. You are one of the most successful people i know and one of the reasons why you have been successful is because you are always open minded to opportunities. I look up to you and that’s why I am contacting you. I am working with a company and that is expanding into the loca area now and we are looking for smart people with good business skills… and I immediately thought about you. Talking to the ‘S’ (more successful) prospects first gives you confidence! Because they’re normally more open minded, and won’t be negative because they won’t burn the relationship. They also have a lot of referrals. When approaching the ‘O’ prospects, approach them by asking for a favor, ask for their advice or opinion. The ‘W’ prospects is someone that looks up to you, you have influence over them. Here, you want to demand them and give them an order. Again, the W stands for people who want to be like you. They look up to you. You have influence over them. Many network marketers overthink this area and struggle because they think they have to have a response to every type of objection! You listen, don’t be defensive! If someone's negative on network marketing, don't fight them, because if you fight them, they'll be close-minded. Instead, ask them what happened? You want to ask, and guide and get them to convince themselves. The WHY question is so powerful here! Find out from their past previous experience. You have the ability to show them that this time it is different. How have you approached recruiting? P.S. If you want to recruit more people or create duplication among your current downline, check out how Purpose Driven Networkers are able to make it happen.